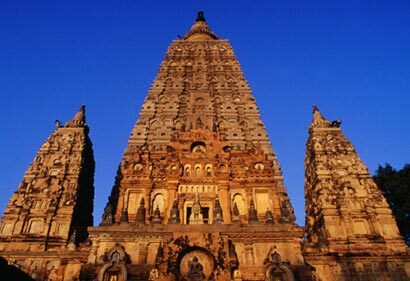 Police has beefed up security in and around the historic Mahabodhi temple in Bodhgaya city of Bihar following threats of a possible militant attack. Additional armed security teams were deployed at the temple entrance and were seen frisking devotees entering the temple premises. Armed security personnel have been patrolling in crowded market areas near the temple. “The security has been beefed up and additional forces have been deployed at the Mahabodhi Temple. Near by station officers are also deployed and senior officials are also informed,” said Superintendent of Police, Gaya, Mohammad Akhtar Hussain. Hussain said that the press brief was sent after the arrest of three militant from Delhi. “A militant was arrested in Delhi and he disclosed his plans about the attacks and this has been informed to us through the press brief,” said Hussain. Recently, Delhi police arrested three suspects, hailing from various cities of western Maharashtra, from Pul Prahladpur in Delhi.